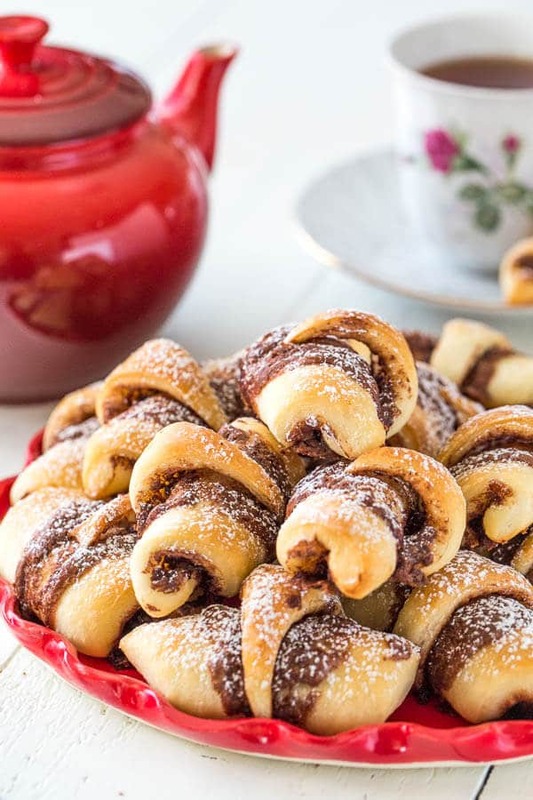 Soft and fluffy mom’s old-fashioned rugelach are always a hit! These yeast leavened rugelach are light and tasty, and you can fill them with anything your heart desires. These are not your usual buttery flaky rugelach here. No, these are old-fashioned yeast leavened rugelach, soft and fluffy with a little bit of chew. 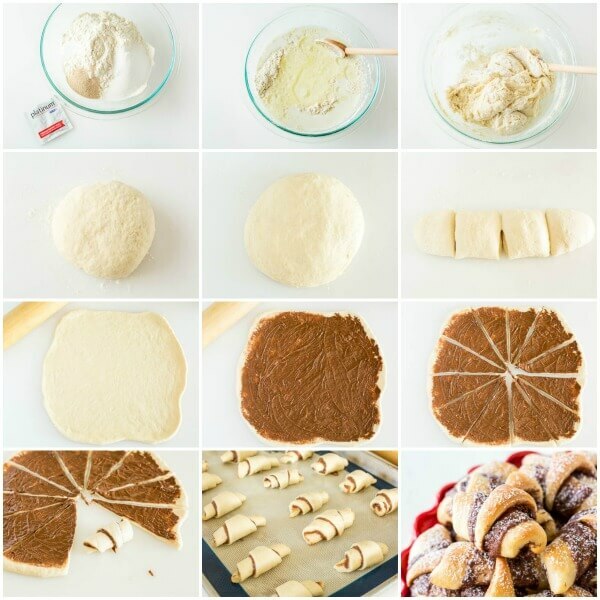 So did you know that original rugelach recipe didn’t actually call for cream cheese? It’s true! 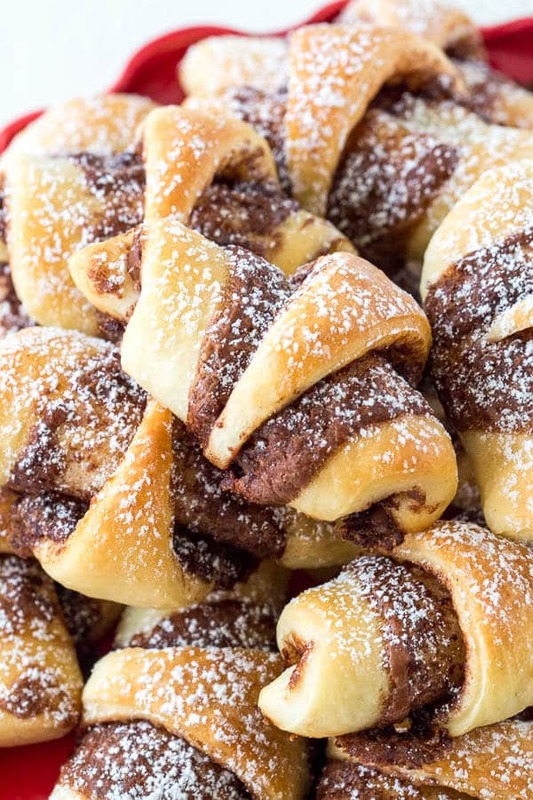 Cream cheese based rugelach are a modern Americanized version, if you will. But I love those flaky ones nonetheless. But today I want to share with you my mom’s yeast leavened rugelach recipe. It was a staple in our family, and later in my college dorm too. My college friends know and rave about these little pastries to this day! Anyway, if you’re afraid of working with yeast for some reason, don’t you worry. It’s going to be super easy! I learned to work with yeast from an early age. Thanks to my mom. Growing up I watched her bake homemade breads, rugelach and other goodies with such an ease. And there’s really nothing to be afraid of. 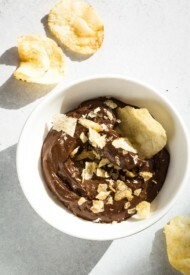 Especially with this recipe. You’ll need a bowl and a wooden spoon. That’s it! Well, even wooden spoon is optional, just use your hands. Plus, it doesn’t require extensive kneading! The only thing to keep in mind when working with yeast is that yeast thrives in a warm environment. For example, you’re not going to use cold milk here. Warm it up! But not too hot either, or you’ll kill the magic power of yeast. Today, I’ve partnered up with my favorite yeast brand, Red Star Yeast, to share this recipe with you. It’s truly my go-to yeast brand that I love and trust. Everything bakes nice and fluffy every single time. I especially love Red Star Platinum yeast, because you’ll notice the superior rise and consistent quality. Also it requires no proofing, easy peasy! Now here’s the step by step visuals for you to follow along. Oh and you can fill them with whatever filling your heart desires! Thick jams, nuts, raisins, dried cherries, or combination of jam and nuts. Brown sugar and cinnamon would be great too! Here I filled mine with Nutella. 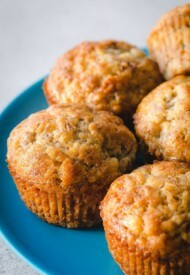 And if I had some hazelnut, I’d have crushed and sprinkled them as well. You can even have them plain, it’d still be tasty! Oh how I wish you could just reach in and grab one. Or two! But you’ll just have to make these yourself. Hope you’ll enjoy! And thanks for reading! 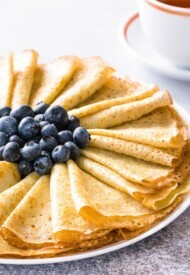 In a large bowl, combine flour, sugar, yeast and salt. Stir in buttermilk (or milk) (NOT hot!) and vegetable oil. Transfer the dough on lightly floured surface and knead for a minute to make a smooth ball. Cover with the bowl and let rest for about 30 minutes. Divide the dough into 4 equal parts and knead into smooth balls. 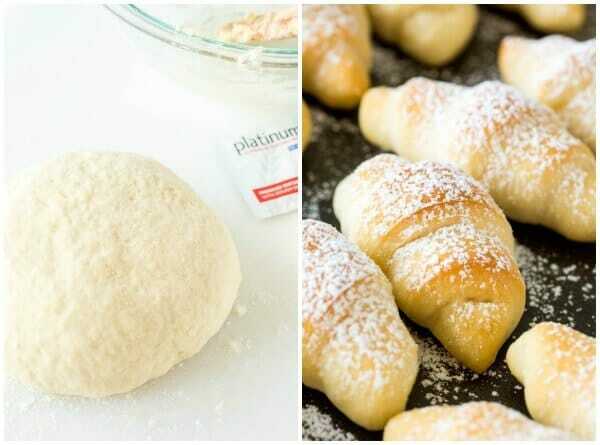 Working with each dough ball one at a time, roll them into a thin 11-inch circles. Bake the rugelach for about 20 minutes, or until nice and golden brown.